The most important video game ever made came out 45 years ago this week: Pong. Released on November 29, 1972, Atari's iconic table tennis simulator wasn't the first video game ever made, but it was the first video game that was a massive commercial success. Moreover, it basically launched the video game industry as we know it today. Like many great inventions—Oreos, LEGOs, and the Fantastic Four—Pong is actually a rip-off of another game. The idea to make a version of it came to Atari co-founder Nolan Bushnell when he saw a demo of an electronic ping pong game that came with 1972's Magnavox Odyssey, the first-ever home video game console. Bushnell assigned the project to an engineer, Alan Alcorn, as a training exercise. When it was finished, they put the game in an arcade cabinet in Andy Capp's Tavern (a local bar in Sunnyvale, CA) to test its marketability. A few days later, the machine started having technical problems: the coin machine was jammed. As it turned out, the game was so popular that it was literally too full of money. At the height of its success, there were approximately 35,000 Pong arcade machines across the United States, according to Harold Goldberg's All Your Base Are Belong to Us: How Fifty Years of Video Games Conquered Pop Culture. Each one brought in an average of $200 per week, which is approximately $41.3 million once you adjust for inflation. But the arcade wasn't the only place that Pong conquered. In 1974, Atari released a home console version of the game that they sold exclusively through Sear's. It dominated the holiday season and Atari dunked on the Magnavox Odyssey so savagely that Magnavox took them to court. The two companies ultimately settled out of court, but the damage had been done. Atari's star was on the rise and the company would become a major force in the burgeoning video game industry. And if Blade Runner 2049 is to be believed, then it looks like the company is going to have a massive resurgence in the next few decades. 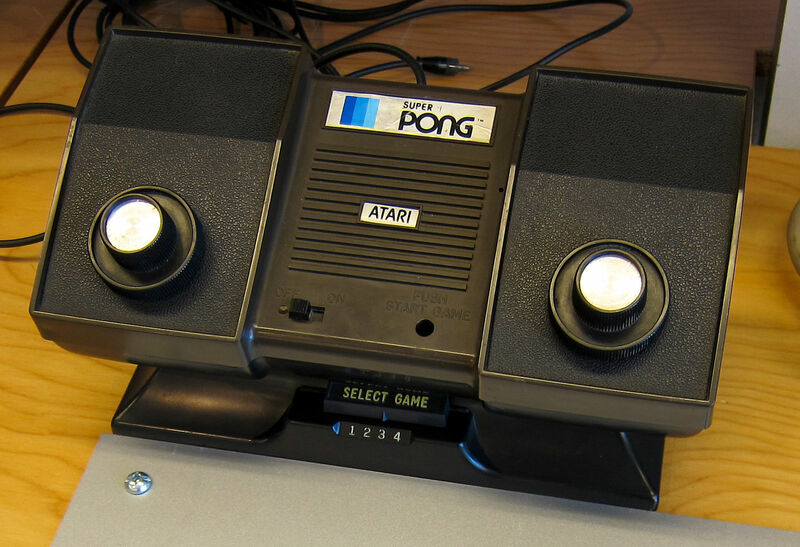 What is your favorite Pong memory? What games ate your precious quarters when you were younger? Is Star Wars: Battlefront II getting too much criticism?